New Directions Publishing Corporation, 9780811218955, 416pp. 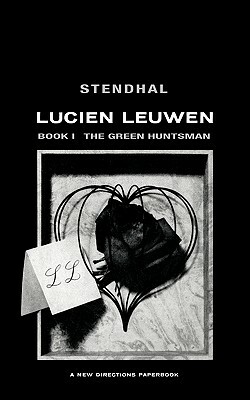 Attractive, clever, a cavalry officer and very rich, young Leuwen had everything necessary for happiness and success--everything except belief in himself and the social order of his time. It is the period of King Louis-Philippe, when an induced conservatism was atrophying France after the cataclysm of the Revolution and the glorious illusion that was Napoleon. Here is an historical novel which is the real thing--a portrait without equal of a time, a place, and the way conflicting groups of Frenchmen felt about each other and themselves. Lucien Leuwen comes down from Paris to serve with a regiment garrisoned in the provincial city of Nancy. There, though he is only a rich bourgeois, not of the nobility, he cleverly makes his way into society and dares to fall in love with the blue blood belle of the town. The magic cast by one of France's greatest novelists transports us completely into the hearts of Lieutenant Leuwen and the beautiful Bathilde de Chasteller as their love affair follows its torturous course.